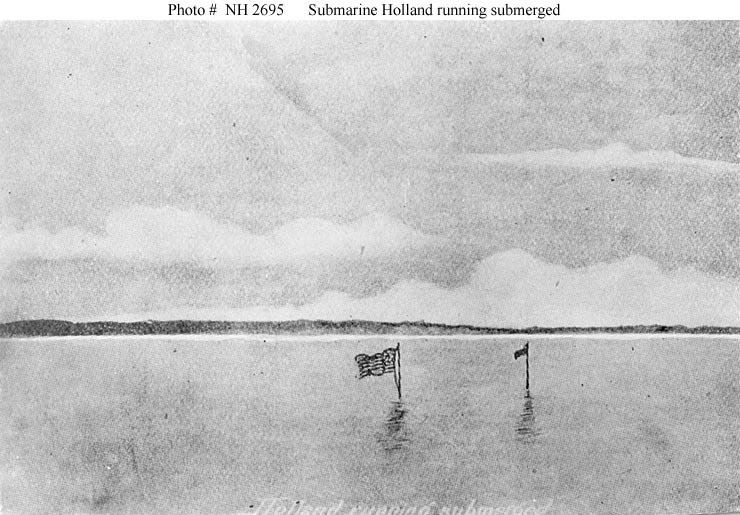 This page features relatively low-quality views of the submarine Holland, taken prior to her purchase by the Navy. 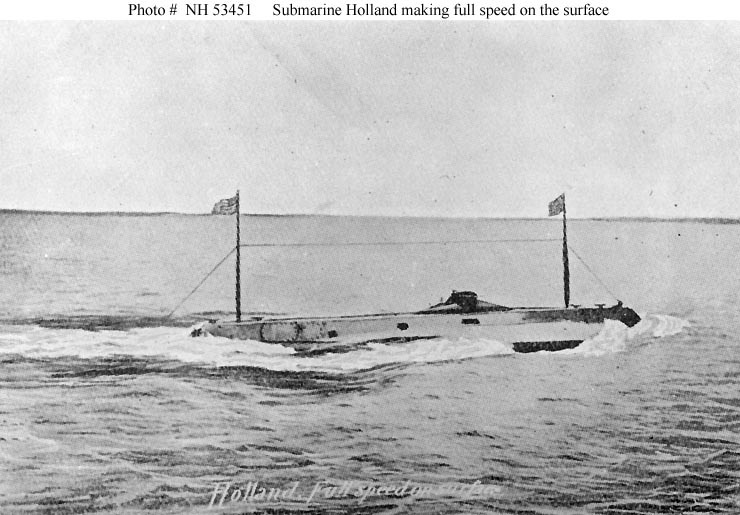 Coarse screen halftone reproduction of a photograph of the submarine running at full speed on the surface, circa 1899. 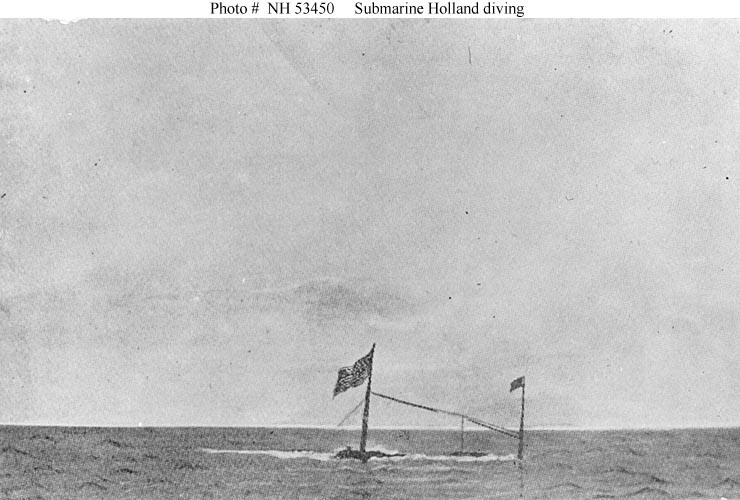 Coarse screen halftone reproduction of a photograph of the submarine diving, circa 1899. Coarse screen halftone reproduction of a photograph of the submarine running submerged, circa 1899. 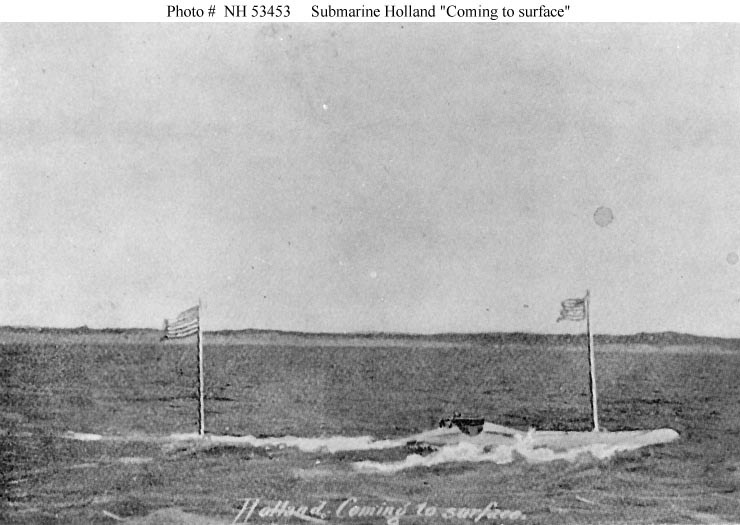 Coarse screen halftone reproduction of a photograph of the submarine coming to the surface, circa 1899. 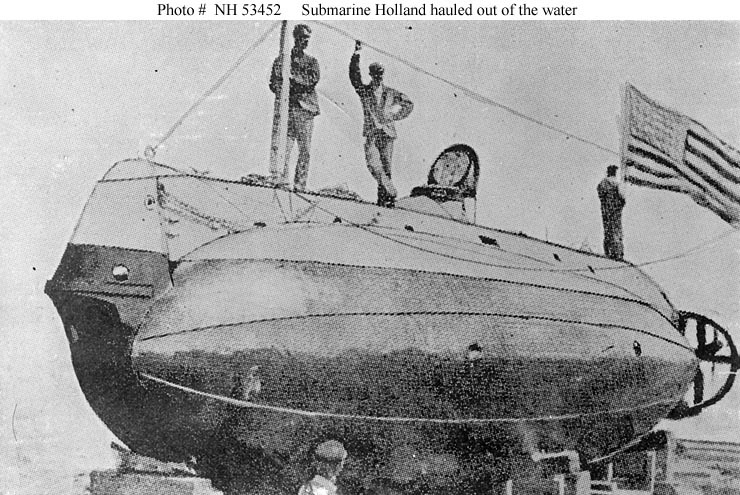 Coarse screen halftone reproduction of a photograph of the submarine hauled out of the water, circa 1899.